Emmett just had a lumbar puncture and an injection of Spinraza - also known as Nusinersen - on Wednesday, July 11th. This means a very full morning at BCCH and part of the afternoon. 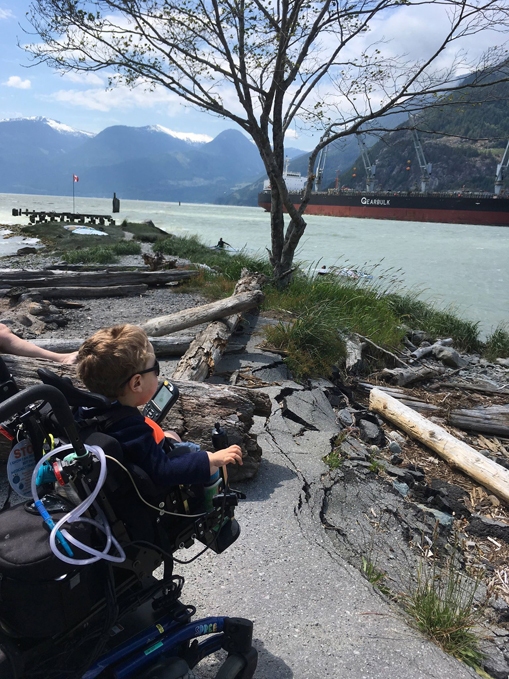 Since Emmett started receiving this drug almost three years ago (he was involved in the blind scientific study to test this drug) the required time at the hospital has been greatly reduced. This is good but it also means that many activities are compressed into the morning. Hanging out with Emmett at BCCH is sort of like being Cliff from Cheers while he is hanging out with Norm at Cheers (too young to understand - check out Google). Literally from the moment we parked in a parking spot staff on their way to work spotted him and called out to chat with Emmett. We didn't walk down one hospital corridor without someone exclaiming "Emmett!" and engaging in an enjoyable conversation with Emmett and Alisha. All of them were wonderful conversations but the best was a nurse who had cared for him while he was battling RSV. She was amazed to see this little boy sitting in his stroller (mini-manual wheelchair), talking, and not only alert but also very intelligent (hmmm, bit of grandparent bias possibly there!). The challenge of this intelligence is that Emmett could tell that these events and tests were leading up to a procedure. The blood work first thing in the morning was very uncomfortable and never something that any little one enjoys. Emmett milked that for all it was worth - showing everyone that he was chatting with the two bandaids (ouch, yes, it took two tries to find one of his tiny veins). Off to physio where he underwent an assessment. This is a tough one for a grandparent to watch, because the assessment is part of the study so only specific devices can be used to encourage him. Well, they aren't the right ones so Emmett certainly doesn't show off his best moves. Which means that I'm trying to bite my tongue and not say but Emmett can do so much more! Or the more tough one, "What kind of a ridiculous test is that for a kid with Spinal Muscular Atrophy!" - but I didn't say it (too loudly or in front of too many people!). 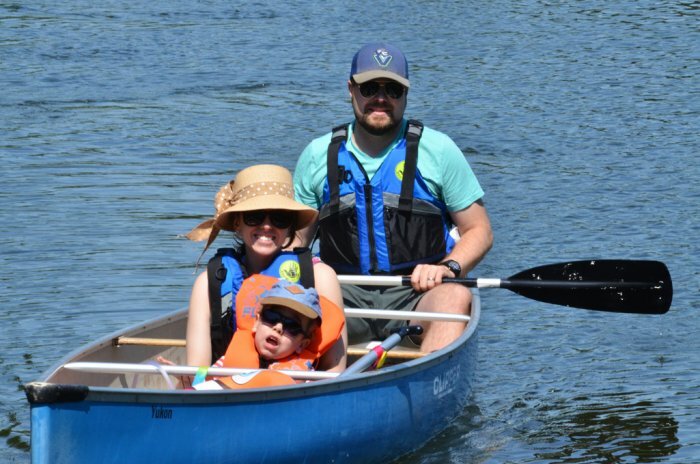 There's a FaceBook post about four kids, Emmett being one of them, in Charlie and Florence's 10K to End SMA in which these four kids are being recognized and also described as warriors. That is so absolutely true. Warriors in the fight against SMA. During the initial study our family wasn't allowed to be present during the Lumbar Puncture. Now we are and while we want to be there for Emmett - there's a part of us that really doesn't want to be there. You can understand that, I'm sure. He knew it was coming. He asked that it didn't happen but knew that it would. He cried and fussed and wiggled and twisted. And as much as this hurt to see it was also amazing. You see, his voice is now so much louder than it used to be. He can wiggle and twist! HE CAN WIGGLE AND TWIST! Oh my goodness, this big little boy can move. With the next procedure in four months he will be getting additional sedation - it's too hard to do a lumbar puncture when the little boy who is getting this procedure is trying to dance about the bed. A Painful procedure, no doubt, but this little warrior was up and about and happy (relatively) and ready to chat in less than 30 minutes. He thanked the doctors and nurses and procedure coordinators as he left. And stopped with his mommy and chatted with the family of a very tiny little one who was going in for his first spinraza shot. That little guy has got a long and tough road ahead - but he's getting the best care available. Even though the drug is still not easily accessible in Canada (there are so many funding questions and roadblocks) the pharmaceutical company is working with hospitals and families to make it available. Especially for children who are diagnosed with SMA Type One. After that chat, Emmett got loaded into the van where he could finish watching Cars (this was a hardship for Emmett that he watched only under significant protest. And only because his grandpa forced him to watch it!) and then watched his favourite Toy Story 2 with Woody the Cowboy and Buzz (and Buzz 2). 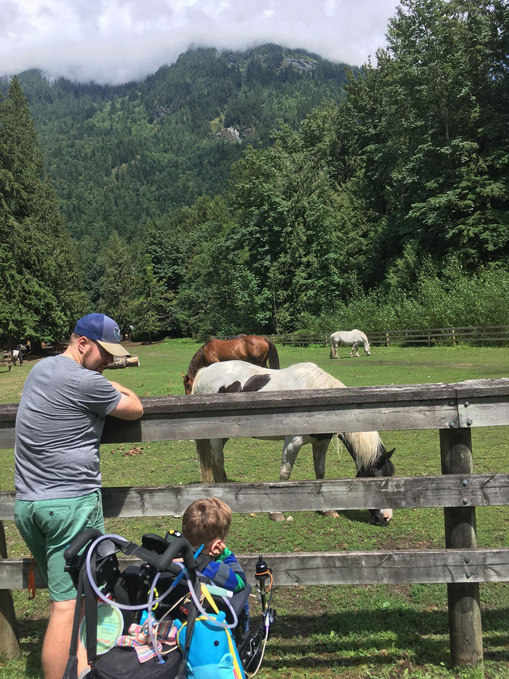 We have lost count on how many times Emmett has been to Vancouver - and he's watched Toy Story 2 every time! 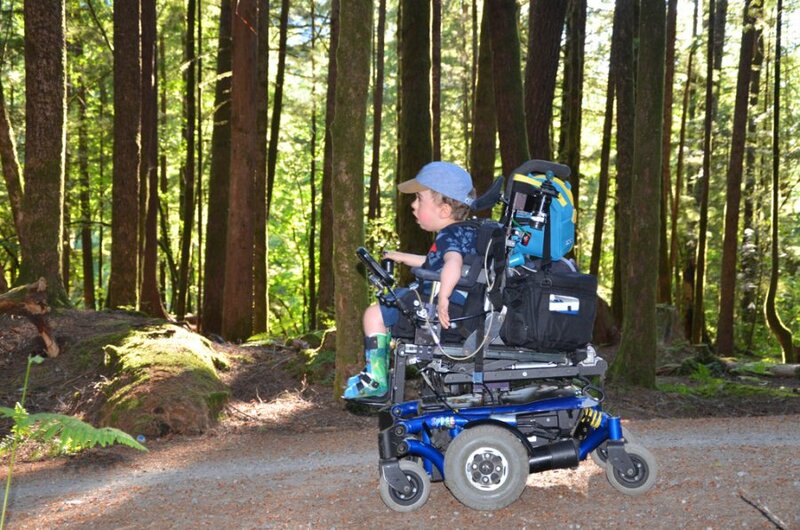 We are also thrilled that Emmett gets to borrow a KidsWalk for the next few weeks. This is a really cool walker set up that bears all of Emmett's weight but allows his feet to be on the ground. Emmett only had three short sessions in it, but he learned to push himself backwards using this hands and feet. The smile on his face when with his legs only he is moving himself backwards! This is such a beginning stage and so obviously even tinier than baby steps, but it is absolutely a step. This little boy is starting to take steps. He's starting to walk! You're probably wondering about the stroller title. Emmett got this cool stroller when he was two so it will still be with him for years to come. However, it is not Emmett's first choice for transportation. 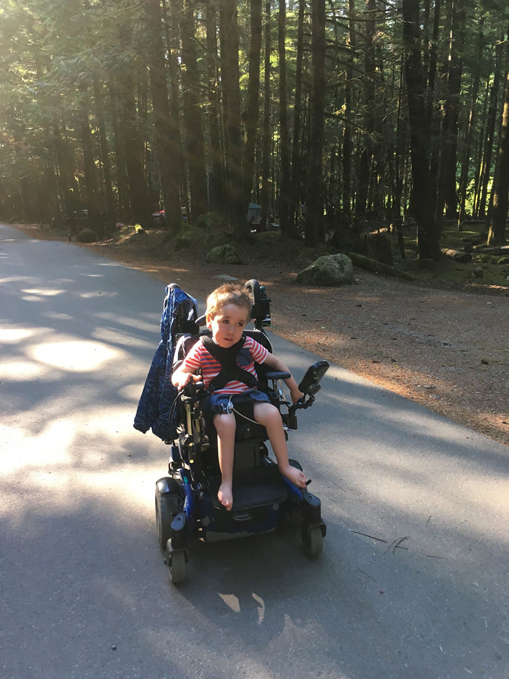 And, Emmett's power chair - in his own words - would just "Stop"! Sometimes it would stop more than it would run so it was very frustrating for everyone as it was malfunctioning terribly. As a result it went in for repairs - literally on the same day that Emmett went in to Vancouver to prepare for his injection. And his chair came back yesterday. When his mom told him that the shop phoned and that his power chair was on it's way back he paused and then cheered. It took a moment for us to decipher what he said next but as he kept repeating it, there was no question that it was 'Hurray! No More Stroller!' 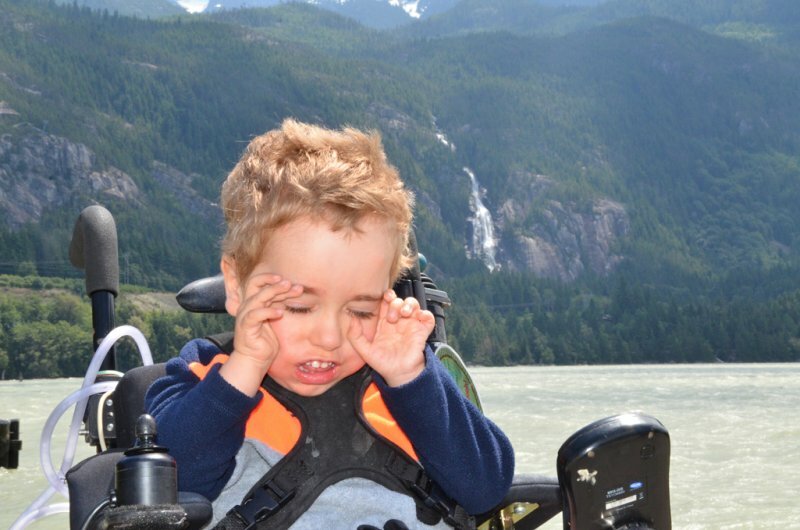 This little boy loves the independence that his power chair provides. 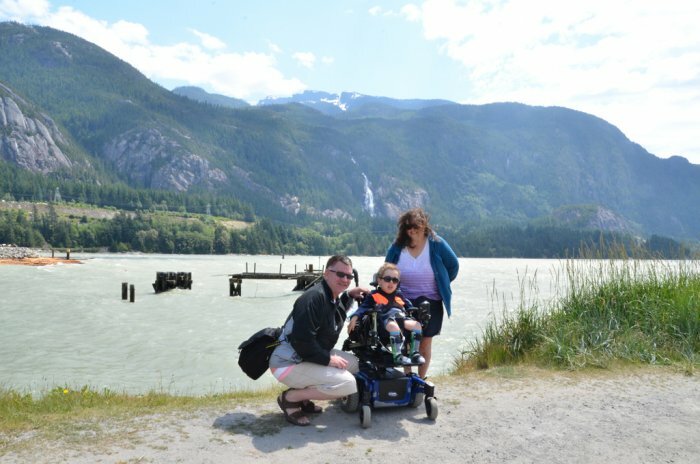 We stopped to see the ocean at Squamish, B.C. That's Shannon Falls in the background. The wind was strong enough to blow us over. We almost didn't get out of the car as we thought Emmett would hate it. Rather, he absolutely loved it! 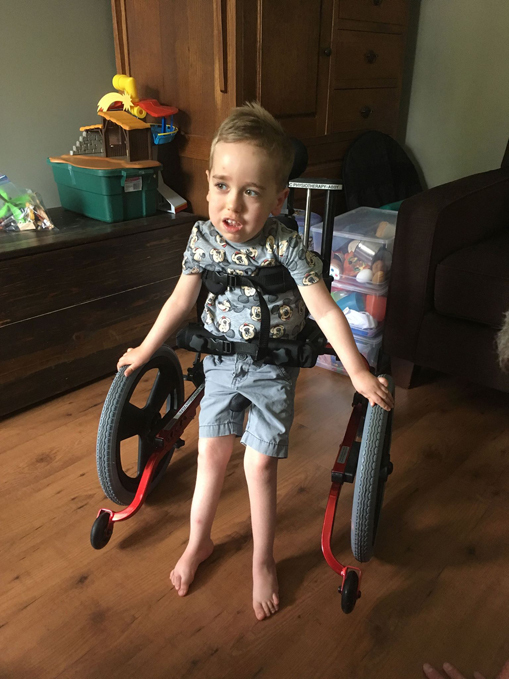 Emmett is raising funds for CureSMA Canada. 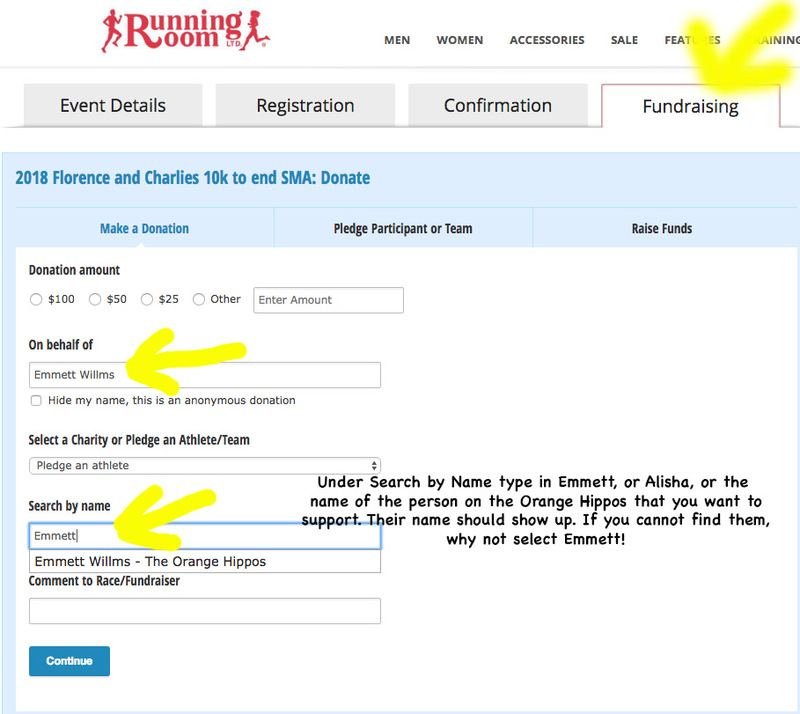 Click here to go to Emmett's personal page on the Running Room to make a donation. Any amount would be appreciated. If this link isn't working, then copy and paste this text into your internet browser. 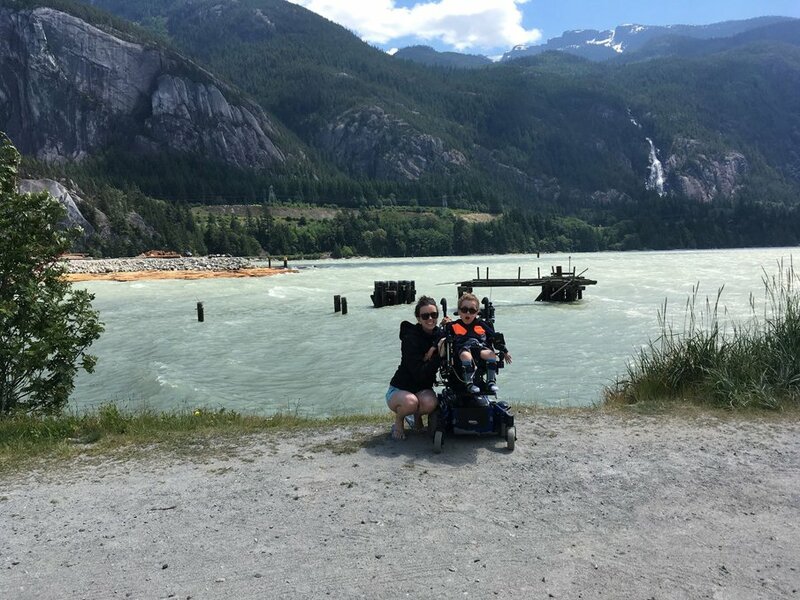 On August 19, 2015 Emmett was just a few months old and he was diagnosed with Spinal Muscular Atrophy, Type 1. We already knew that Emmett was struggling. He couldn't hold up his head. He couldn't move his legs. His strength in his arms - his entire body - was failing quickly. The specialists at B.C. 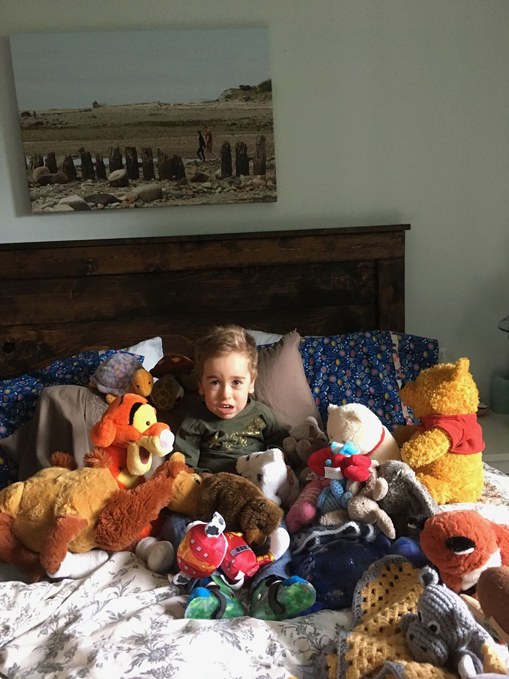 Children's Hospital told his parents that there was no treatment. But that there was an experimental trial which Emmett might qualify for - and he did. 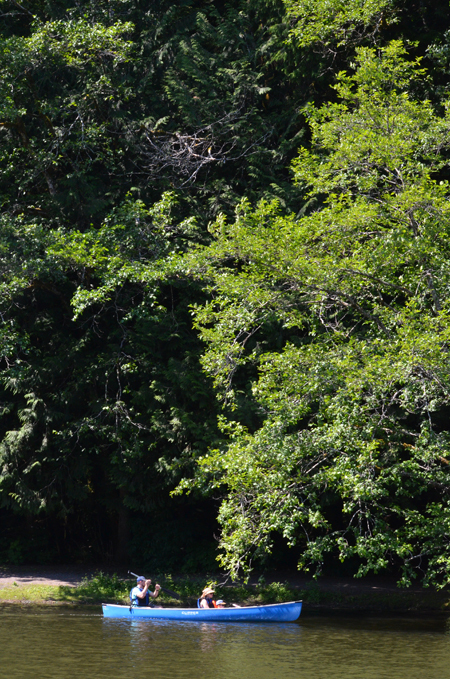 Now, this experimental drug has been approved in Canada, the U.S.A., and several other countries. Funding has yet to be sorted out in Canada and this is obviously a challenge, but this drug works miracles. Spinraza, the name of this drug, is a treatment. 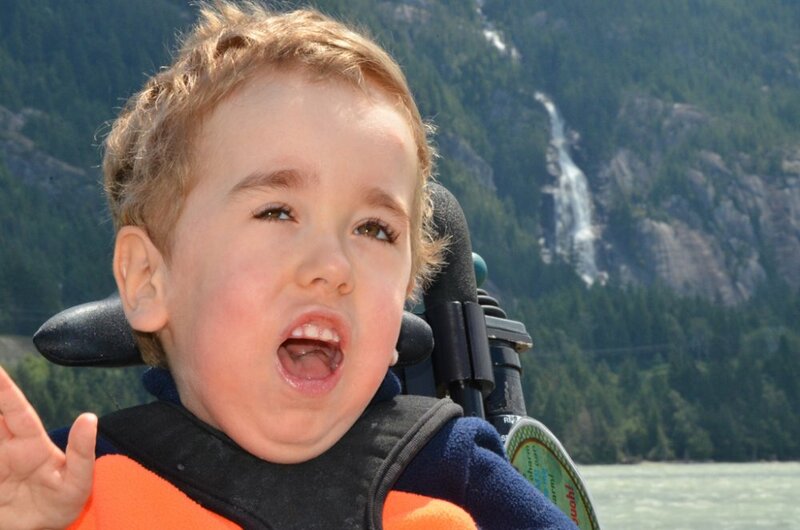 Emmett requires a lumbar puncture every four months. 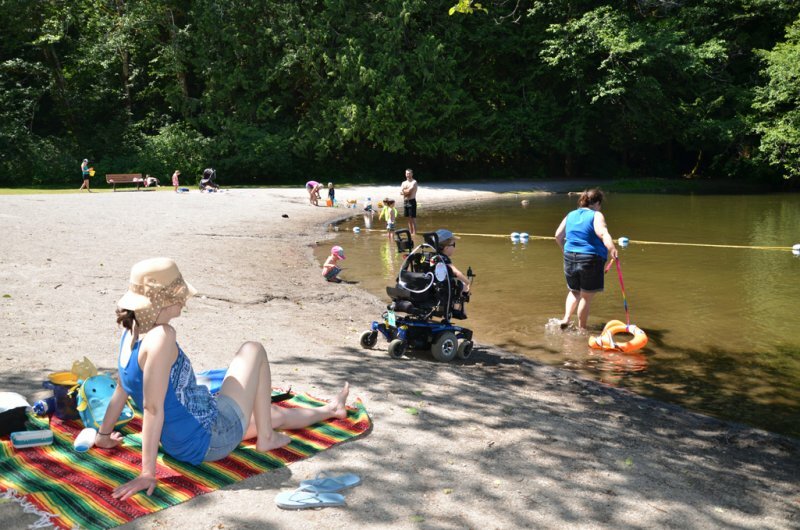 He endures this like a champ and we know that this ten kilometre roll through beautiful Stanley Park in Vancouver is going to be amazing. It is also going to take forever because, well, Emmett is three. Need I say more! Yes, I do. That is that more research needs to be done to find a cure. A treatment is incredible, a CURE would be beyond belief. Please support us. Are those links not working for you! Then try this. 1. 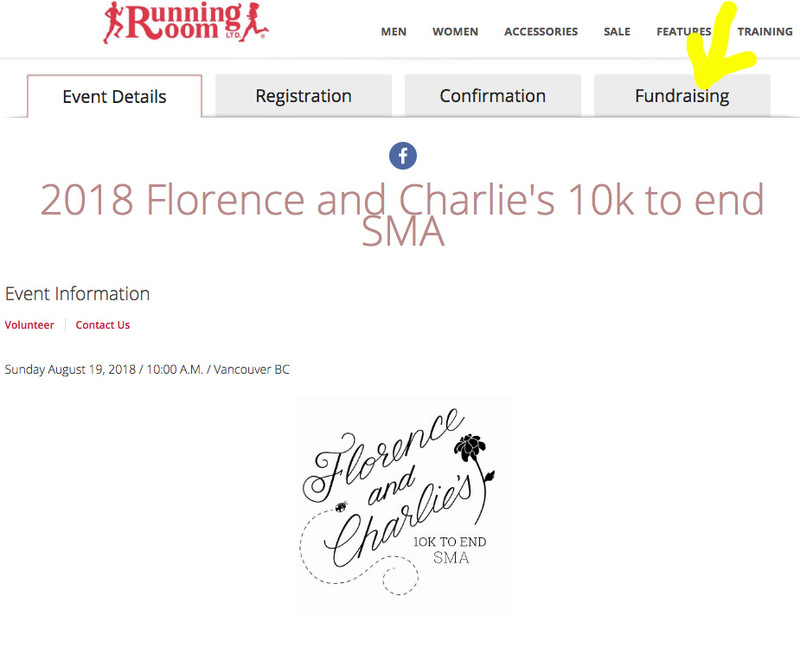 Charlie & Florence's 10K to End SMA - and then click on the Fundraising tab. Step 2 is next. 2. Enter Emmett Willms in the behalf of box, then under search by name enter Emmett's name (it should pop up before you've finished typing it). 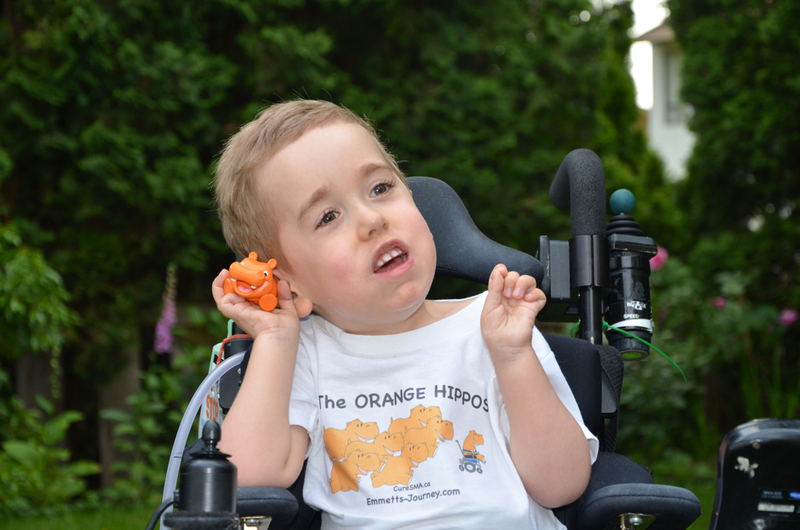 There are several other Orange Hippos, so you can sponsor them if you chose. The funds all go to support the same great cause.